We have seen a resurgence of fabric and upholstered beds in recent years and we are good with that as it softens up the bedroom appearance and adds in some texture as well. The Tigris Bed from Skram Furniture is a really cool design that has a bit of an Asian inspired theme with its wood structure and low profile. The full collection of items from Skram features a light classy look with some great shapes and original designs for the casually decorated interior. I have picked out some favorites and the bed here is on the list for sure. The company was founded in 2001 and is based in the Piedmont area of North Carolina which is well known for its home furnishings production. Their craftsman use a mix of traditional and cutting edge manufacturing techniques and are experienced in using a wide variety of materials including wood, hardwood veneer, assorted metals, leather, and stone. The bed looks quite different in the lighter wood with darker contrasting fabric, almost Scandinavian. One aspect of this platform style is the absence of the box springs that often accompanies a mattress which allows the more minimal low profile look thanks to a single mattress set up. 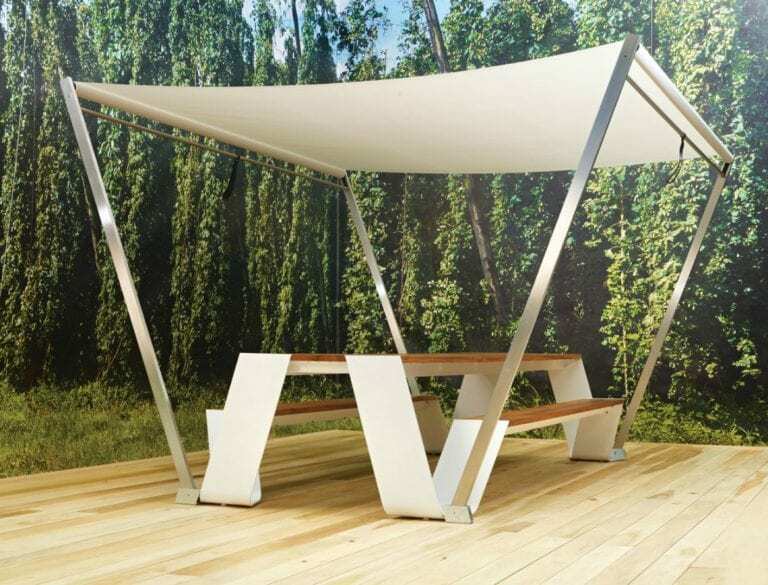 You may notice a center support in the middle of the frame, this is vital to support in this type of design and it help to provide much needed support for the slat system. If you have a loft or high rise apartment that may have a limited space it would be perfect to decorate with lighter scale furniture. Light colors are good to use in smaller spaces as well as they tend to look less ominous and large in the space. If you want two go with a monochromatic look, the medium colored wood with matching fabric looks really nice and the wood grains contract nicely with the textured material.